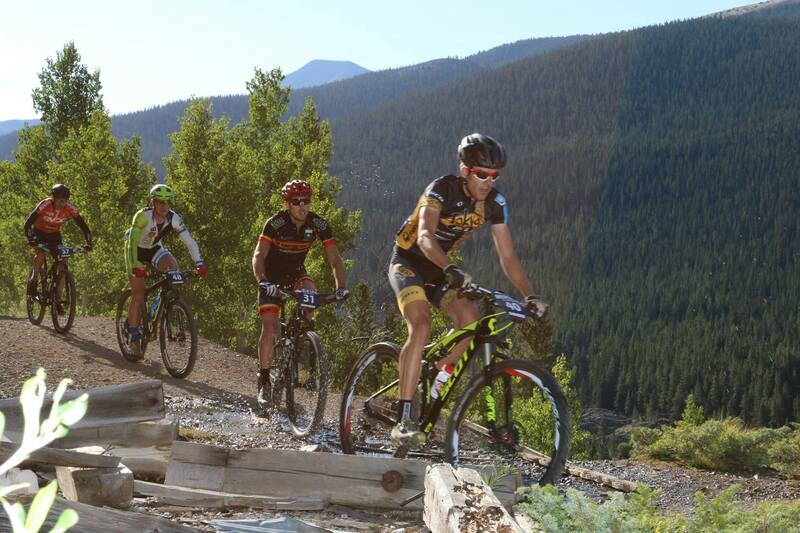 Last week was the Breck Epic, the sweetest 6-day mountain bike race that I know of. And it happens to be in my backyard. With an awesome set of mountain bike sponsors – Tokyo Joe’s, Scott Bikes (and helmet and shoes! ), FSA Components, Pearl Izumi, Clif Bar, and Rocky Mounts I knew I had to race. I have done the race several times in the past but after the Tour of Utah I knew I had some good fitness, plus now that we are living full-time in Breck, it was just a short ride from my house to each and every stage. The first stage started well, I rode a little more conservatively than in the past and around the halfway point I had caught the two leaders, Wells and Finsterwald (who happen to be two of the best mountain bikers in America). I held on for dear life on the downhills and we started the final long climb together. However, in our extreme pace (I was a bit cross eyed) we missed a trial marker and continued up the climb. We ended up climbing Humbug Hill – a dangerously steep climb. I averaged 6.1 kph (3.8 mph) for the 12 minute climb which averages around 15%. Yeah, its crazy hard. You could literally run faster, probably even walk faster. So we did the wrong climb and while it was significantly harder than the proper climb it also cut off several kilometers of racing. We took the top 3 spots but afterwards we were appropriately relegated to 4th, 5th and 6th. Kind of a bummer, but it was definitely the fairest option. Stage 2 was one to forget for me. I suffered 4 or 5 flat tires (due to my lack of skill) and then topped it off with a stupid crash on a fast section of single-track. Sore and sad I made my way across the finish line almost 2.5 hours behind the winners. Any chance of challenging for the overall was gone. Stage 3 started well enough, but I could feel the efforts that I had made the previous weeks at Tour of Utah creep into my legs. Plus my hips and legs had been realigned in m crash and I just took it steady. I still rode hard, but kept things in check and finished 8th. Stage 4 was more of the same, my body was suffering and I could feel it telling me to slow down and back off. I obeyed and took the second half of the stage relatively easy and rolled home in 12th. The fifth stage started with a group time trial start which gave me some time to work in to the race and pace myself a bit better than other days. On the long initial climb I picked some guys off and when we got above 12,000 feet and the hike-a-bike started, I came into my element, cruising past several people and riding well on the final climb to grab 5th place on the day. The final stage is one of my favorites, and while the initial paved climb was removed, I knew it could be a good course for me. Another time trial style start meant an easier start and while I had to make some hard efforts on the top of the road climb I was able to regain contact after the first big descent to the halfway mark. We started the long road climb in a big group with one rider off the front, but it wasn’t to be my day. My legs just weren’t as good as I was hoping they would be, and I had to settle for 10th on the day. After the finish, I was glad to be done. 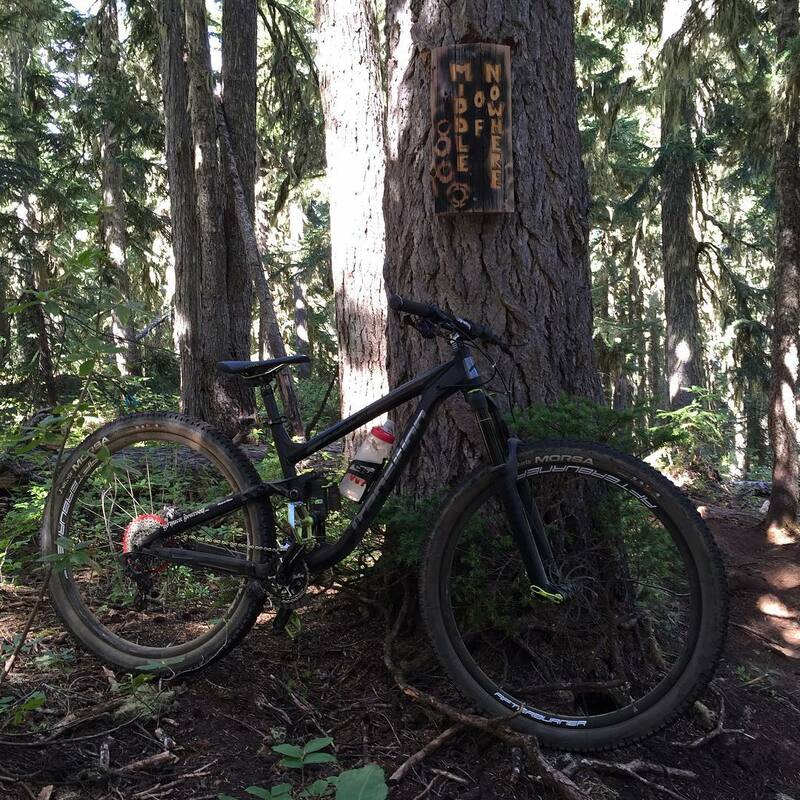 It was a great time trying to hang with the bike boys of American mountain biking, and I certainly improved my skills because of it, but I still have a long ways to go! The race was a great success and is an amazing event. Next up for me is the Tour of Alberta in September, and then I will finish my season with a few longer mountain bike races around Colorado.